We will be sharing some of our author’s bios for the upcoming weeks in anticipation of the launch. Be sure to follow us on our social media! Join us for the launch of Issue 22! Exciting news! 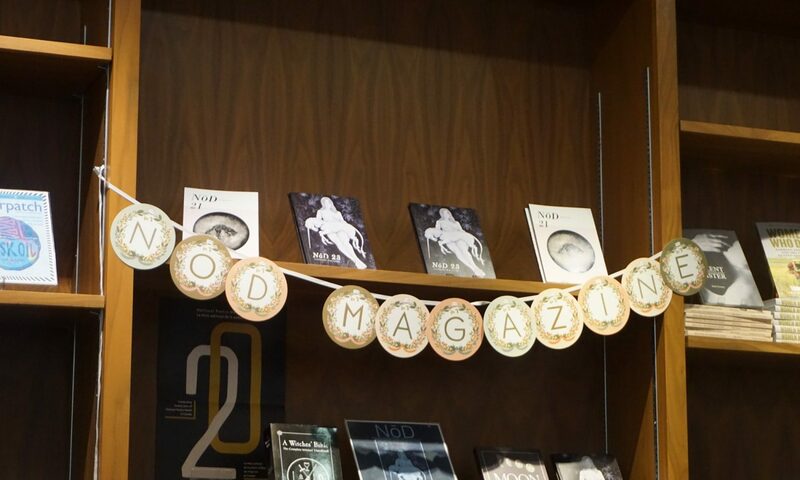 We are happy to announce the details for our upcoming NōD, Issue 22 Launch Party! We will be hosting at Raw Canvas in Kensington on December 13th. Enjoy readings by local authors and drink some warming tea for the body and soul. For the first time ever, Canzine is coming to Calgary! We could not be more excited. We’ll be set up at a table to sell back issues and to chat with amazing artists and writers. Support Calgary’s underground arts scene and check it out!